Dr. Martha J. O'Hara, D.D.S. 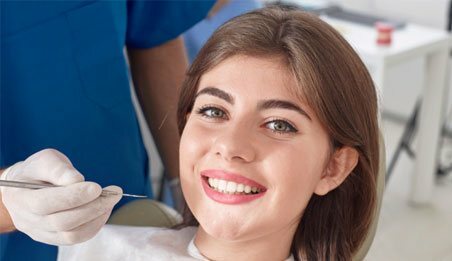 is a Jacksonville, NC dentist providing general dental care for the whole family in a relaxed and friendly atmosphere. She and her staff guarantee you quality dental care from people who listen, respond, and are always gentle.Some of the services we offer include:• General teeth examinations• Routine cleanings• Whitening/bleaching trays• Sealants• Veneers, crowns, and bridges• Bonding• Patient education• Root canals• Fluoride treatments• Dentures and partials• FillingsPlease call to schedule your appointment during our convenient office hours. All dental insurance is accepted and filed by us, including military insurance. New patients are always welcome!Call us today and schedule your appointment.